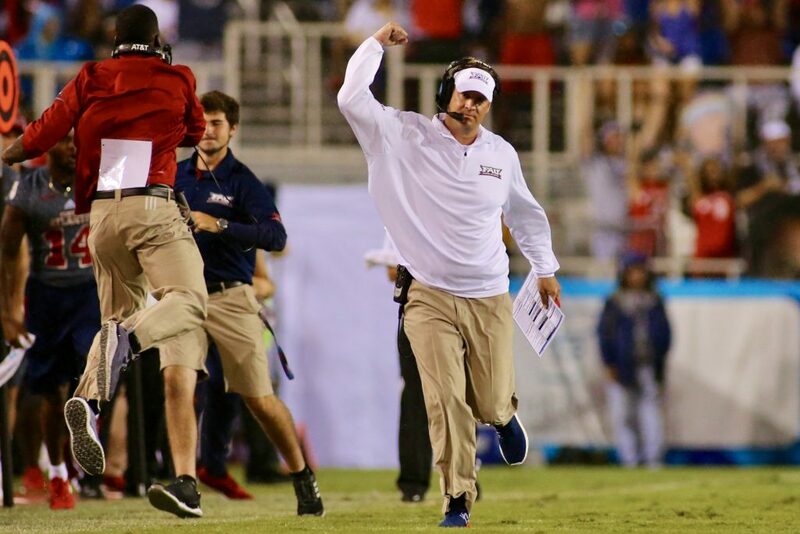 Lane Kiffin, Florida Atlantic University’s head football coach, has received a contract extension to lead the Owls through 2027. Kiffin led the Owls to an 11-3 record in 2017 and their first Conference USA Championship and first Boca Raton Bowl victory. It marked the second conference title and third bowl win in the program’s 17 seasons. FAU will be led in 2018 by 16 players who recently received preseason all-conference recognition by Athlon Sports. That list includes Devin “Motor” Singletary, who led the country in both touchdowns (33) and scoring (198). FAU will open the 2018 season at Oklahoma on Saturday, Sept. 1 at noon. The game will be carried on Fox. Tickets can be purchased by calling 1-866-FAU-OWLS. All FAU football games can be heard by tuning into ESPN West Palm 106.3 or on the ESPN App.